Starting a livestock business from scratch can result in disease pressures being brought in with purchases. Farmers Guardian caught up with new Disease? Not On My Farm! ambassador farmers, Ben and Tori Stanley, to find out how they have developed their business over the past four years, while also trying to remain disease-free. 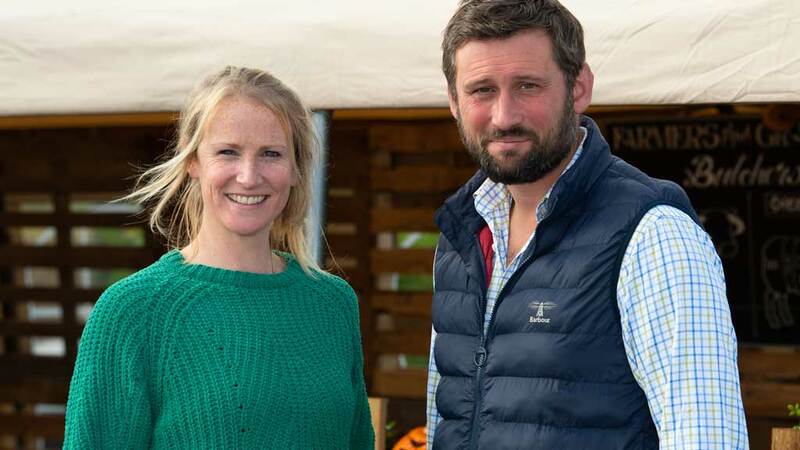 When Ben and Tori took over the long-term tenancy at Park Farm, near Melbourne, Derbyshire, they had the opportunity to develop a new farming system which would provide them with a stable income. Previously fattening store cattle for major retailers, and due to insecurity in their short-term tenancies, the couple relished in the opportunity to develop a breeding herd of Longhorn cattle that would allow them to build a business selling direct to customers. “My family have a long history with the breed, so it’s always been an ambition for Tori and I to establish our own herd,” says Ben. The couple focused on building a strong breeding herd to allow them to operate a closed system. “We purchased cows from herds with known accredited health status and in larger groups where possible, rather than one or two cows from numerous sources, to reduce the likelihood of disease outbreaks,” says Ben. Ben and Tori have also worked closely with Scarsdale Vets to develop a workable health plan for their business. “We’ve started testing all our youngstock for BVD and IBR, as a precautionary measure to ensure the herd remains free of the disease. “The herd has grown to 60 suckler cows, and although we’re still looking to expand, we’re now in a position to rear our own replacements, which is far better for us from a disease control perspective,” adds Ben. Biosecurity continues to be a key area of focus on the farm. “We don’t keep any stock in fields that are adjoining any neighbouring livestock farms, and instead use these for silage, or in our arable rotation. “We’ve also double-fenced boundaries for additional protection,” says Ben.